On November 28, 2011, the Miss District of Columbia 2012 pageant was held. And the gorgeous Monique Thompkins was crowned the winner. 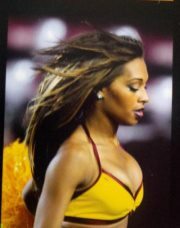 She will represent District of Columbia in Miss USA 2012 pageant next year.